“All I want to say in books, all I ever wanted to say, is I LOVE THE WORLD.” E. B. White, author of Charlotte’s Web. 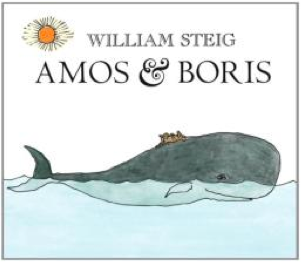 AMOS AND BORIS written and illustrated by Caldecott medalist, William Steig. It is a tale of two very unlikely friends, Amos the mouse, and Boris the whale.